You may remember my previous post about a security monitor that could serve as a CCTV monitor. It's now complete, and working without any problems. 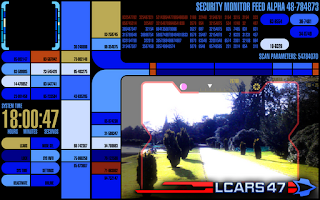 I also decided to add the 'frame' from the holocamera from Star Trek: Voyager - "In the Flesh" since I thought it added a further LCARS charm to the screen - you know, moving arrows, scrolling numbers. 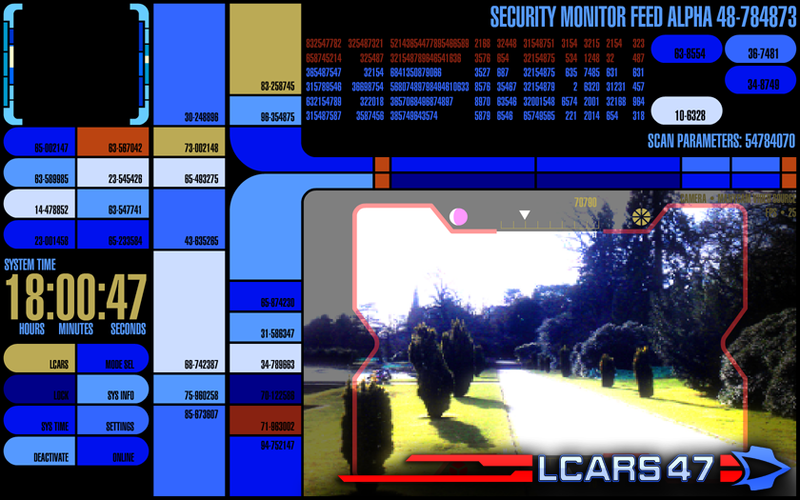 Hopefully, this will provide a really useful feature for those of you with with a webcam on your front door. I'll probably further develop this area, since the usefulness potential is worth investing in.